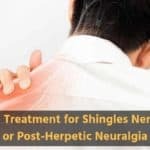 While there are a multitude of medications, over the counter drugs, and alternative therapies available to treat the symptoms caused by neuropathy, sometimes the best medicine, is that which you find naturally. Take a look at these 11 ways that you can help your body heal from nerve damage at home. 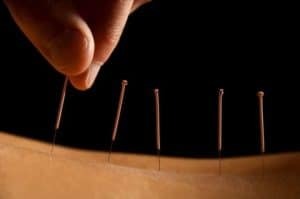 An alternative treatment, which uses the insertion of tiny needles in certain areas to block the pain signals sent by nerves to the brain, acupuncture may not offer a perfect cure, but it has shown success in the relief of nerve pain through a number of documented studies. 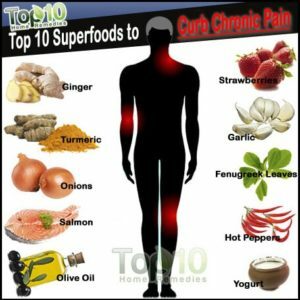 Some doctors have suggested that this traditional approach to pain relief, hailing all the way from Asia, also releases natural pain killing endorphins into the body as an added benefit. 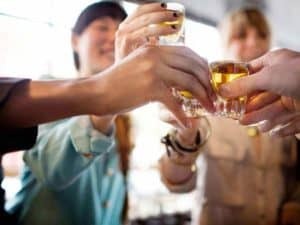 Having a drink with dinner might offer an immediate buzz which decreases pain momentarily, but it can also lead to liver issues, inflammation, and thinning of the blood. Similarly, smoking cigarettes has been shown to have a negative effect on pain caused by nerve damage. 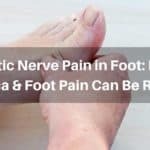 Cutting both of these bad habits from your life can work as a preventative measure, and also as a long term method of reducing symptoms caused by neuropathy. Another treatment, alternative to medication, is massage. Not only is this practice relaxing, but it also helps with circulation and has been said to ease muscle cramps and spasms which are often caused by the neuropathy. 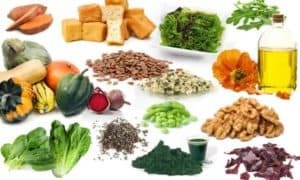 Found in a variety of superfoods, antioxidants are known to pack a healthy dose of oxidation inhibitors, which are said to clean the system of processed materials and unnatural chemicals. Not only do foods, such as blueberries, dark chocolate, pecans, kidney beans, and cranberries, help to build up antioxidants in the system naturally, but they are also healthy options which can aid in digestion, as well. 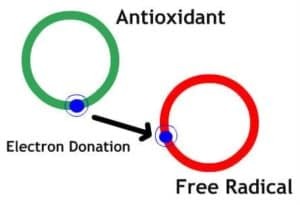 Antioxidants are one natural treatment which may be recommended by a nutritionist or doctor for long term treatment of neuropathy when combined with other natural treatment options. Neuropathy is caused by damage to the nerves in the body, and this damage can cause muscles to weaken. A physiotherapist can help to provide you with exercises to perform at home, as well as one on one therapy in the office which help to rebuild those muscles, and halt any further deterioration to the body. The trend which took the health world by storm over the past decade is not unfounded. 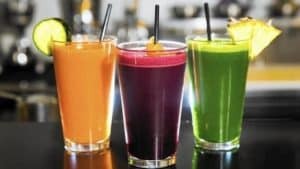 Juicing, especially green fruit and vegetables, has proven to be successful in building up the immune system and supplying a boat load of antioxidants and vitamins. Cutting out prepackaged and processed foods, and creating your own juice from healthy foods, such as kale, spinach, and broccoli, can produce a long term aid in the treatment of neuropathy. Herbal medications have been around for thousands of years, and it’s no great surprise why. Plants carry a multitude of medicinal purposes when used correctly, and much the same way that vitamins strengthen the body and support the immune system, certain herbs can offer natural relief. Ginger, turmeric, St. John’s wort, and vervain, have been proven to decrease inflammation and relax the muscle tissues in the body. 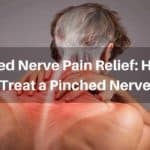 This can be a great help for those who experience nerve pain due to swelling. 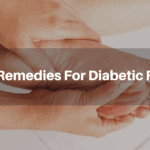 However, always consult with a doctor before beginning any new regimen with herbs or supplements, especially if you are taking other medications for neuropathy. Walking and yoga are a form of exercise but they are also therapeutic especially when combined with meditation. Long slow strides around the block, laps in a pool, or a slow even workout using yoga poses, can strengthen your muscles and lungs, while offering better circulation and peace of mind. While neuropathy has been proven to be a physical problem and not a psychosis based disorder, gaining the ability to focus your mind can help with pain relief. Vitamins play a huge role in the health of various organs and tissues in the body, so it should come as no surprise that one of the causes of neuropathy stems from vitamin deficiency. While there are many multivitamins on the market, we recommend taking a supplement, which is designed specifically to counteract your symptoms. 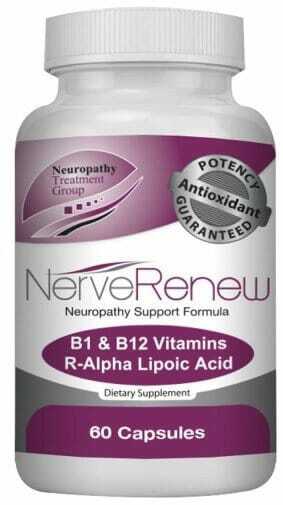 Nerve Renew supplies many B vitamins, along with various other necessary vitamins and minerals to help the body battle symptoms of pain and numbness. 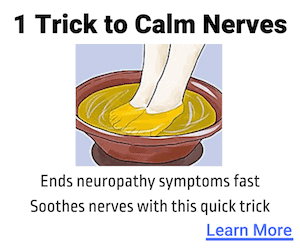 For more information on neuropathy relief, and products such as Nerve Renew, we invite you to visit our resources and FAQ page on our website or contact us personally. We believe in a healthy long term approach to neuropathy relief, and want to share this vision with all those who suffer with symptoms. It seems like an answer to just about every medical issue, but that’s because it is a solution that has proven itself time and again. The foods that you put into your body will decipher how healthy your hair, skin, blood, bones, organs, and muscles are. The amount of water you consume each day will dictate whether your skin feels dry or your hair is shiny, it also helps with a number of other internal function, such as lubricating joints and connective tissues. 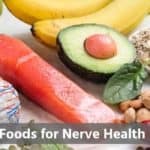 When it comes to the nervous system, there is still a lot of mystery shrouding the cause and cure of neuropathy symptoms, but one thing that has been proven is the effectiveness of proper nutrition on nerve health. Exercise is also important, as it aids in circulation and decreases chances of swelling and inflammation.